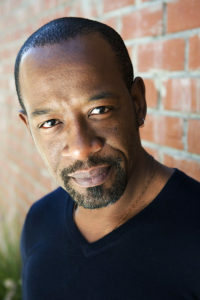 Born in Nottingham and raised in South London, Lennie James trained at the Guildhall School of Music & Drama. The Young Vic’s production of A Raisin In The Sun, and the eponymous hero in the Tricycle’s production of Macbeth. UK series Critical for Sky TV. HBO’s Hung, AMC’s Low Winter Sun, and The Walking Dead. also see him in Bladerunner 2049.